Gold in any color is considered a symbol of wealth and prosperity, and it is the most traditional of the precious metals for wedding and engagement rings. 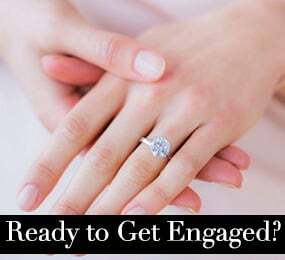 If you want to take a spin on tradition that will dazzle your bride with something that brilliantly highlights the sparkle of a diamond, consider a white gold engagement ring. 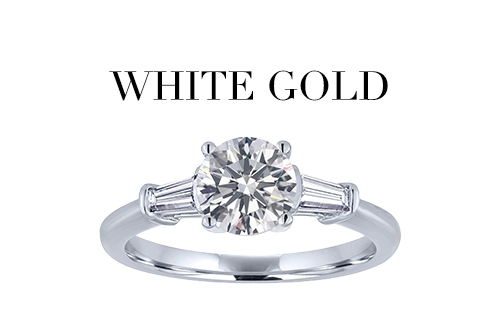 Compared to yellow and rose gold, white gold is a relatively young metal. 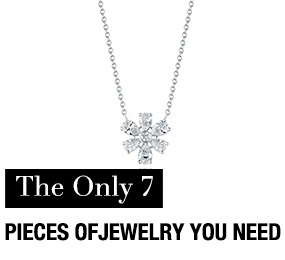 Prior to WWI, white jewelry was made of silver or platinum; the creation of white gold during the art deco period of the 1930s gave consumers a white alternative that was more prestigious than silver and less expensive than platinum. 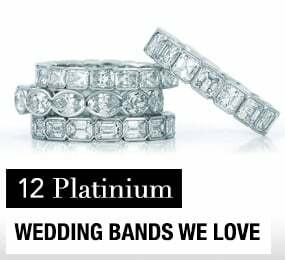 Today platinum has surpassed gold as a symbol of prosperity and class (a platinum credit card is considered more prestigious than a gold one), and it has become one of the most popular metals for engagement rings and wedding bands. 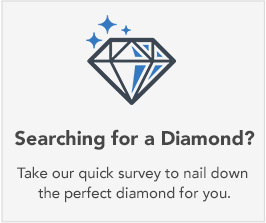 Diamonds seem to sparkle more brightly when set against platinum white hue, and the fact that it is one of the most durable metals you can buy means it will remain strong and beautiful forever & the perfect representation of long-lasting love. 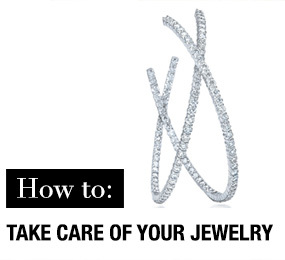 Platinum is naturally a gray-white color, so it is not as shiny as some other precious metals. 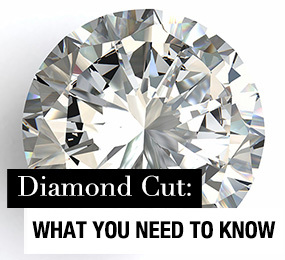 Platinum is 30 times more rare than gold, and unlike silver, platinum does not tarnish. 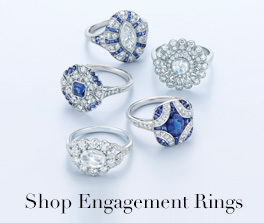 If you select a platinum ring, it will most likely be made up of 95% platinum and 5% ruthenium (another metal in the platinum group); if a piece is composed of less than 95% platinum, it must be labeled as a platinum alloy. 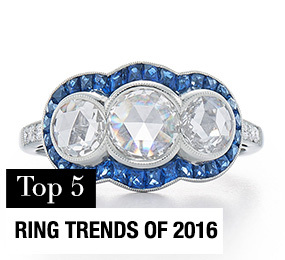 Rose gold jewelry has gone in and out of fashion over the years. It was particularly popular in Russia during the 19th century, and ladies in Europe and the United States demonstrated a preference for its delicate look during the Victorian era. Its popularity dwindled during the 1930s, only to resurge during WWII. In the 21st century, rose gold has taken a front seat in the fashion world again, possibly due to its frequent use by high-end designers such as Cartier. 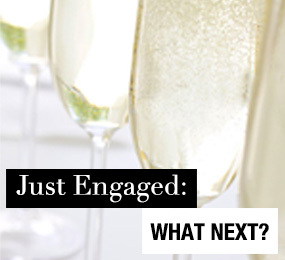 A rose gold engagement ring tells your bride-to-be that you appreciate her femininity and her romantic side. Choose rose gold if you're looking forward to sharing a lifetime of elegance and sophistication together. 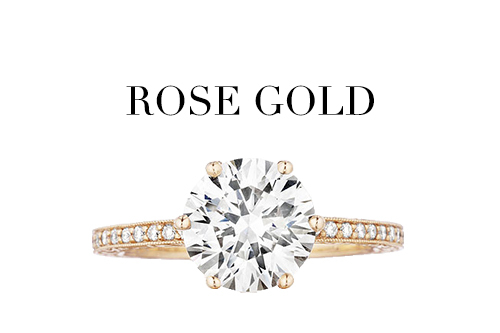 Like white gold, rose gold does not occur naturally. 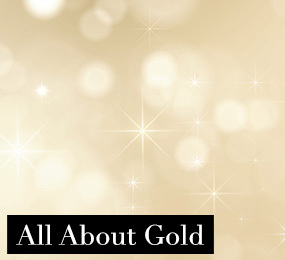 Because gold is a particularly soft metal, the gold used in engagement rings and other pieces of jewelry is mixed with other metal alloys to give it the strength to withstand day-to-day wear. Rose gold, also sometimes referred to as pink gold, contains more copper alloys than other metals, and it is the copper that gives it the distinctive color. 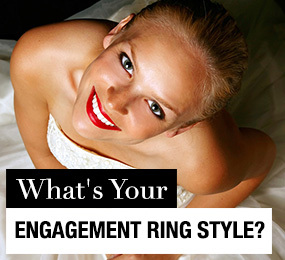 Yellow gold is the most traditional metal for engagement and wedding rings. 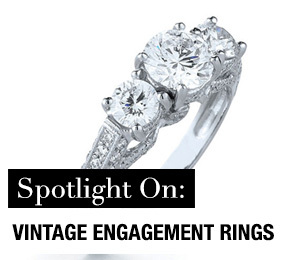 While many like to make a bold statement by going with other, more unusual, precious metals, this beautiful option has recently been gaining popularity due to its classic beauty. 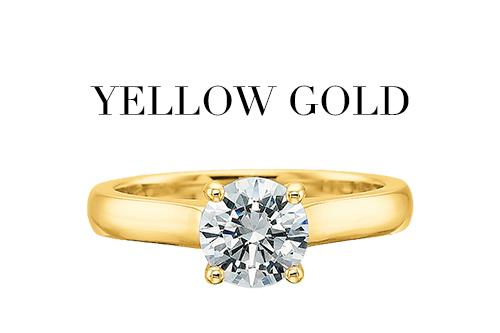 A yellow gold engagement ring gives off a bold, golden glow that generally associated with warmth and comfort. 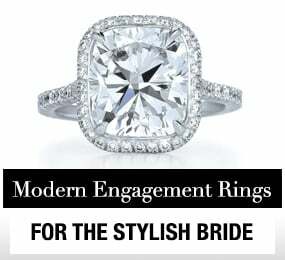 Whether you select a classic or more modern design, if it rendered in gleaming yellow gold, it promises your beloved a lifetime of honoring traditions and respecting your mutual decision to share your lives with each other. 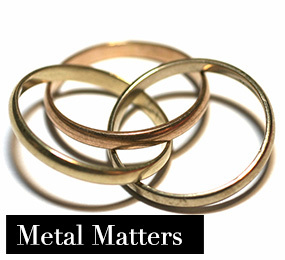 Because gold is a particularly soft metal, the gold used in engagement rings and other pieces of jewelry is always mixed with other metal alloys to give it the strength to withstand day-to-day wear. 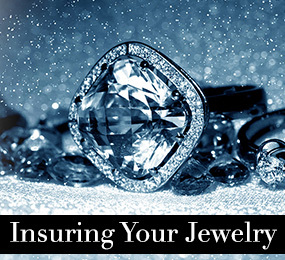 However, unlike white and rose gold, which contain alloys that change their color, yellow gold retains its original color and relies on alloys such as copper, silver, and zinc only to strengthen it. When most people think of gold, it is yellow gold they are thinking of. 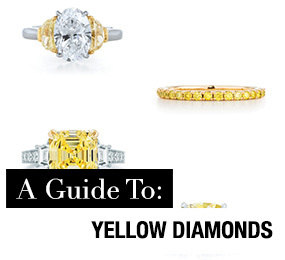 The softness of gold does make it perfectly suited to fulfill a designer unique vision, and yellow gold is the most versatile of the gold options. 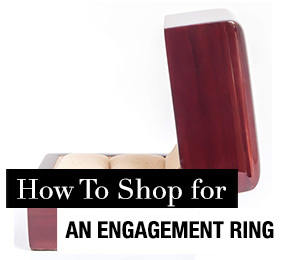 You should be able to find many creative designs with everything from traditional to modern settings in yellow gold.